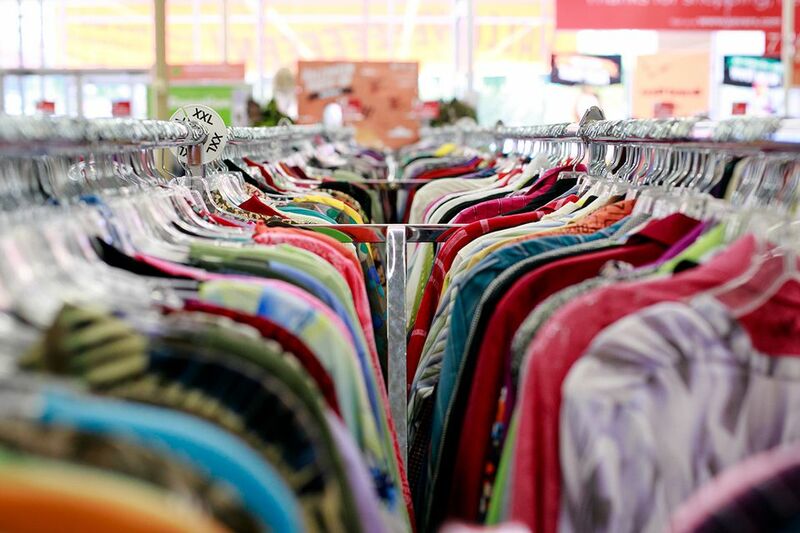 With all the benefits of used furniture and clothing, not to mention the thrill of finding a great "treasure" and saving a lot of money, here's a list of thrift stores, secondhand stores and consignment shops in the Huntsville area. Children's Used Clothing & Furniture: "We believe the "Your Stuff, Your Price, Your Pocket " idea in which you price your own items and we do not subtract a percentage of your sale is unique." Spring & fall sales. Upscale resale with a boutique atmosphere. Across from Wal-Mart Supercenter in Burlington Coat Factory Center. Designer looks without the Designer price. Comments: good toy selection and often good used furniture. "The Best in New & Used Merchandise" - Antiques & Collectibles - Garage Sale & Donation Pick-Ups - Accepts Vehicle Donations. Mon -Fri 9am - 6pm, Sat 9am - 5pm. Fine furniture and home accessories. Twice a year sale: spring & fall. Children & Maternity clothing, baby or child items, shoes, accessories, toys, games, sporting equipment, video games, books, bikes, skates, furniture, bedding, strollers, high chairs, nursery items and more. Sells kids stuff plus furniture, rugs, home decor, pictures, dishes, bedding, linens, curtains, etc. Current sale through Nov. 18, 2006. "An Ideal Alternative to Consignment Shops & Yard Sale Hassles." Features quality items such as gently used clothes, toys, furniture, and other goods pertaining to children and motherhood in one location. Open twice a year --Spring and F all. The public sale usually lasts 4 days with the last day offering 50% off most items in the store. The location of the Klassy Kids Exchange Store varies season to season (check website). "The Finest in Children's Resale Clothing." Mon-Fri.
9:30 am-5:30 pm; Sat. 10 am-4 pm. Tuesdays & Wednesdays 9-4; Thursdays from 9-5. Walk-in consignment hours: Tuesdays, Wednesdays & Thursdays from 9-12:45 plus regular days. For more information, holiday changes, call 881-6992. Upscale consignment boutique specializing in gently used name brand children's clothing for boy and girls infants to size 16. Located off of Highway 431 between Huntsville and Hampton Cove and across from the Interior Market Place. Located on the corner of Weatherly Road and Parkway. Features household items, furniture, clothes, shoes, electronics, tools, vehicles, etc. Monday-Fridays 9am-6pm, and on Saturdays 9am-6pm. Comments: Prices a little higher but they have lots of books and great sales. Comments: Located where the old Sam's Club used to be. They have GREAT prices, great name brands, and great turnaround.